I have some more nail art for you all today using the Something Spacial: Stars collection from one of my favorite brands, Doctor Lacquer! I'm going to get right into photos today since you all know how I feel about this brand already. I started out with a base of Doctor Lacquer Fomalhaut, which is a tri thermal that shows purple, gold and green with a strong green shimmer. This is such a unique polish even in my extensive collection. 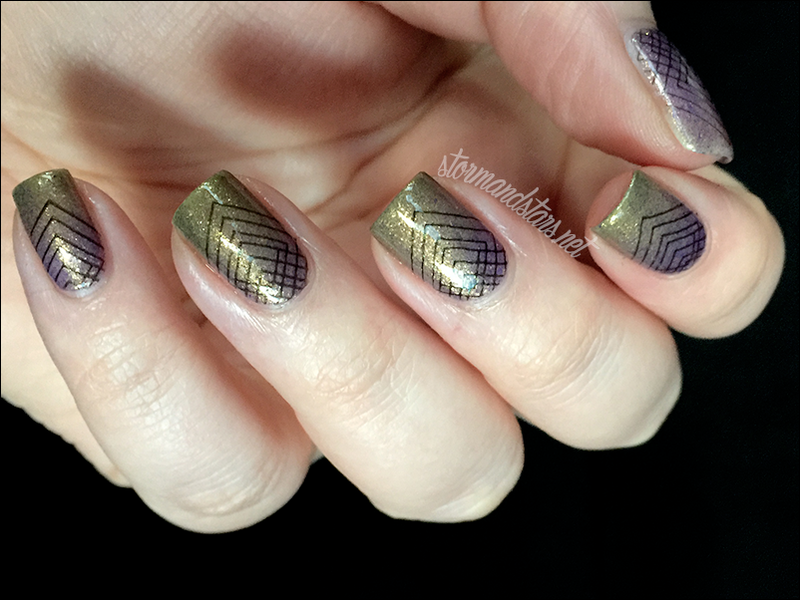 After the base dried, I used Cult Nails Nevermore to stamp on a pattern from the MoYou London Hipster 07 plate. I topped the look off with a shiny top coat. 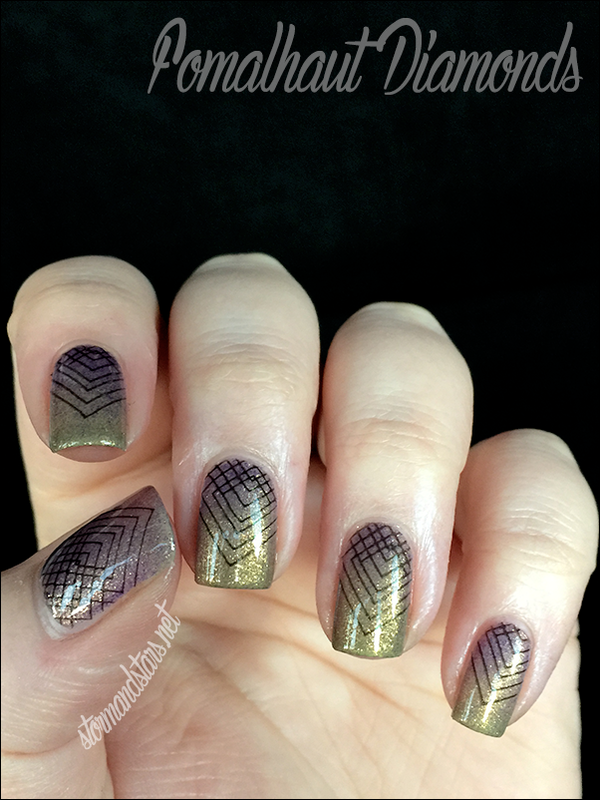 I knew I wanted to go simple with the stamping with how complex the polish is, and this worked out so well! How do you feel about nail art over thermal lacquers? I feel like it is a great way to jazz up a manicure in a simple way that looks great and more complicated than it really is. 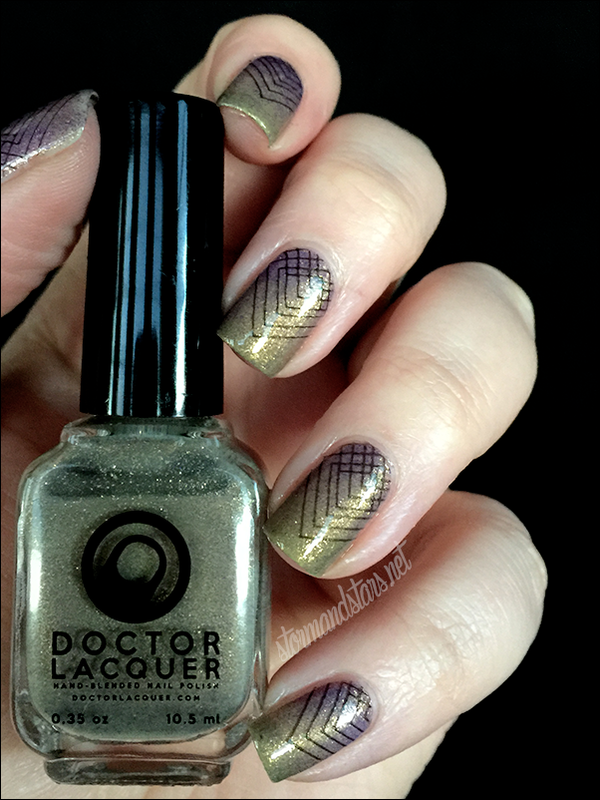 You can find these and other Doctor Lacquer polishes in their shop either on Storenvy or Etsy. These lacquers are available both in full size bottles and in "medium" sized bottles, which is what I am holding in the photos. I love the medium bottles because I almost never use a whole bottle of polish and these look just like the fulls size as well as having a normal cap and the same wide brush. Totally in love. Don't forget to follow Angelyn on social media so you can keep up to date with collections, releases, sales and restocks as well as see other swatches of her lacquers!